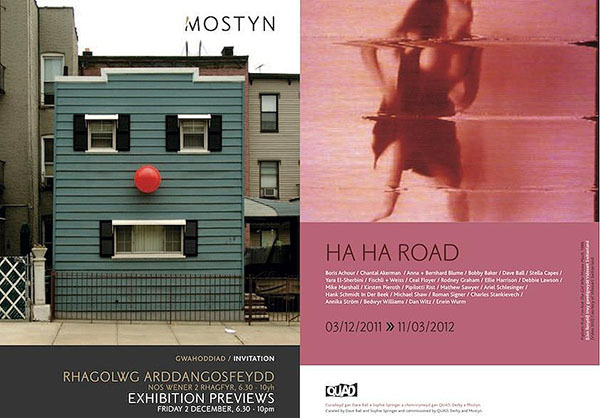 Ha Ha Road was a humour-themed exhibition showing at Oriel Mostyn Gallery in Llandudno, Wales (Dec 2011-Mar 2012) and Quad Gallery in Derby, UK (Aug-Oct 2011). Developed in collaboration with Anna-Sophie Springer, the group show explored the notion of a “rupture of sense” at work in humorous art. 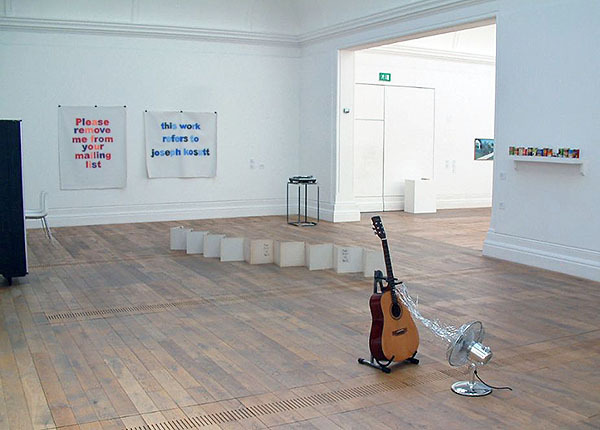 The exhibition brought together the work of 25 artists: Boris Achour, Chantal Akerman, Bobby Baker, Dave Ball, Anna and Bernhard Blume, Stella Capes, Yara El-Sherbini, Fischli & Weiss, Ceal Floyer, Rodney Graham, Ellie Harrison, Debbie Lawson, Mike Marshall, Kirsten Pieroth, Pipilotti Rist, Mathew Sawyer, Ariel Schlesinger, Hank Schmidt in der Beek, Michael Shaw, Roman Signer, Charles Stankievech, Annika Ström, Bedwyr Williams, Dan Witz, and Erwin Wurm. 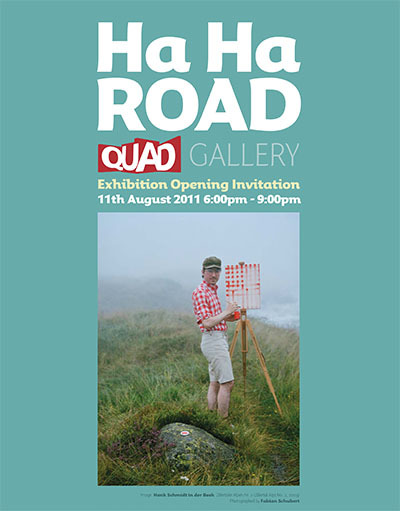 View Ha Ha Road exhibition guide (pdf).